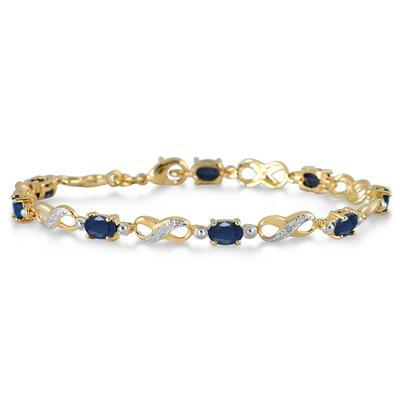 8 All natural, genuine sapphires measure 6x4mm each and are prong set between smooth links of brass. 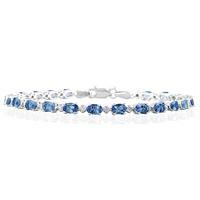 One diamonds grace the center links while the beaded link setting gives the entire bracelet a heavy diamond look. 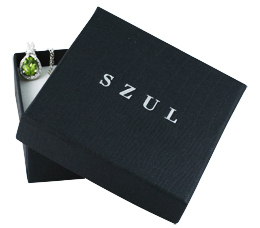 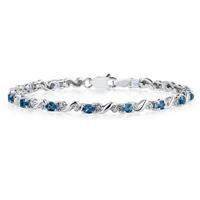 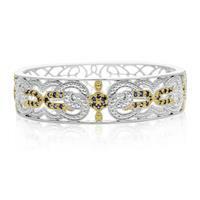 An excellent and affordable alternative crafted with 100% all natural gemstones and diamonds. 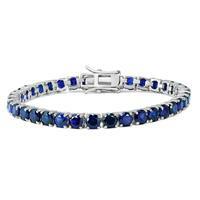 The bracelet measures 7.5 inches and secures with a durable lobster Claw Clasp lock.